Plus, Gundry MD Olive Oil is delicious! We cultivate our olive trees in the dry desert terrain of Morocco. This tough environment forces the trees into “survival mode,” and naturally increases the amount of polyphenols in their olive oil. I designed Gundry MD Olive Oil because I wanted to take the powerful antioxidant effects of regular olive oil… and kick them up a notch. Gundry MD Olive Oil contains hydroxytyrosol — a naturally occurring polyphenol that neutralizes free radicals unlike anything we’ve ever seen at the Gundry MD lab. This means Gundry MD Olive Oil gives you exponentially more protection from energy-zapping toxins that make you feel tired and weak. And since we adhere to strict extraction and refinement processes — Gundry MD Olive Oil is absolutely delicious. Feel free to use Gundry MD Olive Oil just like you would any other oil. Use it for cooking, drizzle some on your favorite foods, or even add some to your favorite smoothie as a way to enhance the flavor and texture of your recipe! No matter how you choose to take your olive oil — just remember what I always say: The point of food is to get olive oil in your mouth. And Gundry MD Olive Oil doesn’t just make food taste incredible… it helps you feel incredible, too. How do I use Gundry MD Olive Oil? You can use Gundry MD Olive Oil just like any other olive oil. Generously add it to your favorite recipes, drizzle it over a delicious salad… you can even add a dash of it to your smoothie. 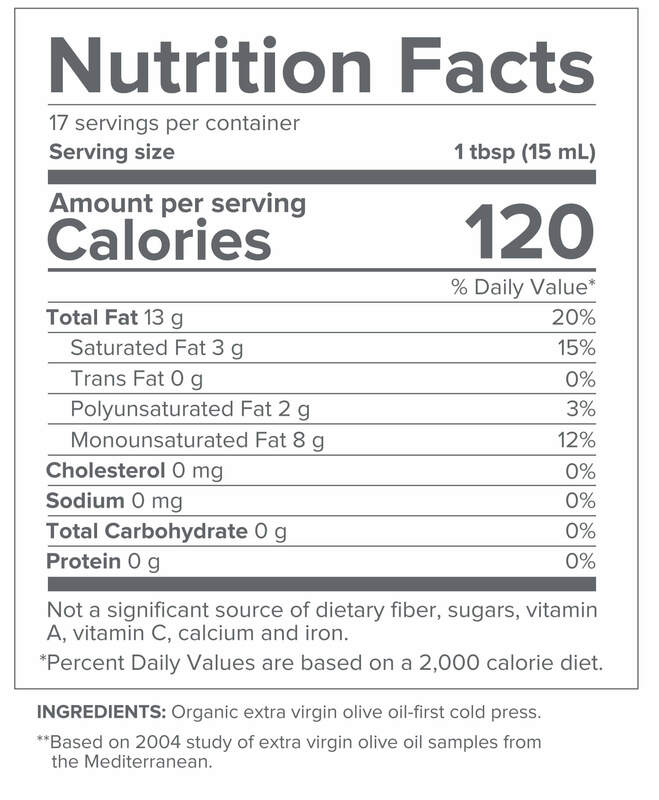 Gundry MD Olive Oil is delicious and LOADED with 30x more polyphenols than conventional olive oil. Is Gundry MD Olive Oil safe? Absolutely. Gundry MD Olive Oil is sourced, cultivated, and extracted according to industry safety and purity standards. It contains no artificial ingredients and is tested for quality at an independent, 3rd-party facility. What makes Gundry MD Olive Oil better than regular olive oil? Gundry MD Olive Oil comes from the harsh desert environment of Morocco. This arid climate helps grow some of the strongest olive trees on the planet. 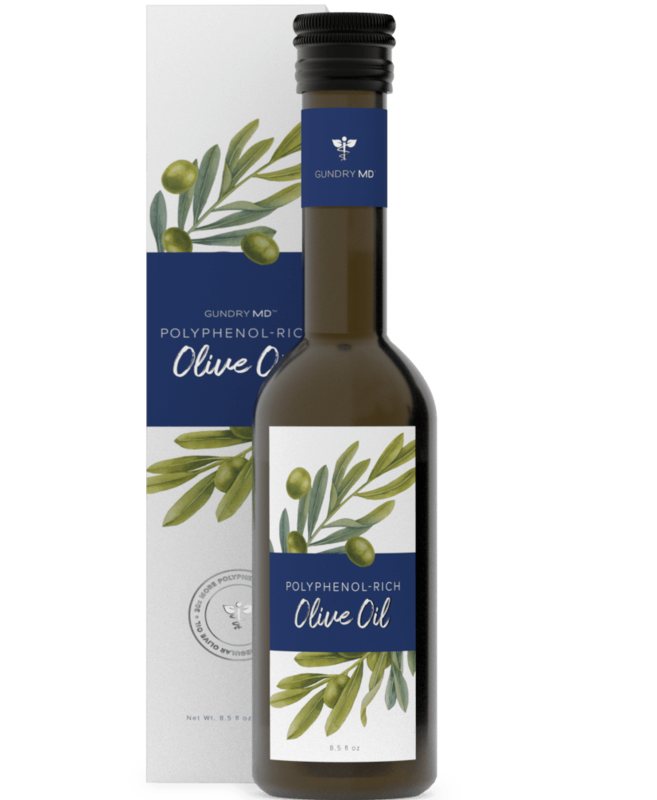 You see, the limited supply of resources force the olive trees to go into “survival mode.” They produce extra polyphenols to protect themselves… which means with Gundry MD Olive Oil, you can enjoy 30x more antioxidant power, and it tastes amazing. What if I don’t like it? Is there a guarantee? Of course. Even though everyone can benefit from the power of polyphenols, I understand individuals react differently to the very same compounds. 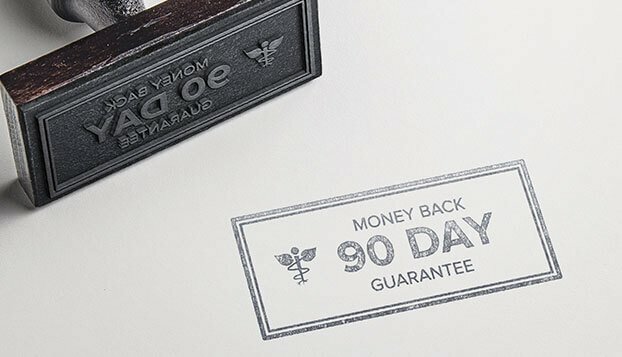 So, if you’re unsatisfied with this product for any reason whatsoever after a full 90-days of use — simply return your empty bottles and I’ll return your money. Guaranteed. 4Purba, Martalena br et al. “Skin Wrinkling: Can Food Make A Difference?”. Journal Of The American College Of Nutrition. vol 20, no. 1, 2001, pp. 71-80. Informa UK Limited, doi:10.1080/07315724.2001.10719017. 5 Puertollano MA., et al. Olive oil, immune system and infection. Nutr Hosp. 2010 Jan-Feb;25(1):1-8. 5Hrncirik, K. and Fritsche, S. 2004. Comparability and reliability of different techniques for the determination of phenolic compounds in virgin olive oil. Eur. J. Lipid Sci. Technol. 106: 540–549.